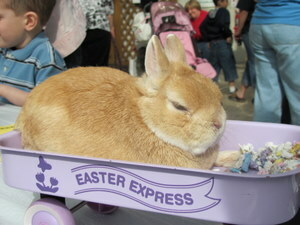 Posted on March 26, 2013 at 9:00:00 am by Katie R.
Have a "Hoppy" Easter and escape the glum winter-like weather at the Botanical Conservatory’s Easter in the Garden, sponsored by WAJI Majic 95.1 FM. Hop on down on Friday, March 29, from 10am – 3pm for pictures, games, prizes, crafting, meeting the Easter Bunny, and so much more! Toddlers through elementary age children can go on the hunt for colorful Easter eggs in the annual indoor Easter Egg Hunt. Enter for a chance to win a “sweet” Easter basket to take home. And don&apos;t forget about the Botanical&apos;s furry friends! 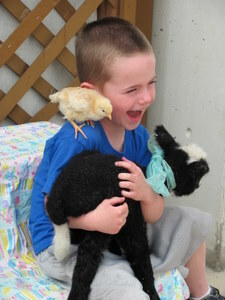 There will be live animals for all to see including baby chicks, ducks, bunnies, sheep and goats ready to meet you! Make sure to bring the camera, as there will be tons of opportunities for fun photos! This is a exciting chance to get in the Easter spirit while also checking out the beautiful Botanical Conservatory. While you&apos;re there, explore the Mighty Jungle Adventure before it goes away on April 7! All children must be accompanied by an adult and regular Conservatory admission will apply. The cost is $5 for adults and $3 for children ages 3-17 – children 2 and under are free. For more information visit our website or the Botanical Conservatory website.